Delicious and fantastic home catering experience. Helpful and polite delivery team! 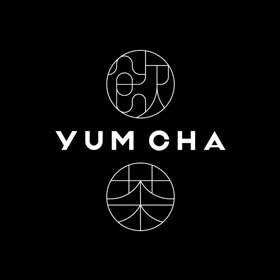 The food at Yum Cha is Instagram worthy. The service is excellent and the atmosphere is chic. We ordered everything with eyes except for the hot dog buns and they were all very delicious. This is a must try after you experienced traditional dim sum! Food is pretty good, and as everyone's been saying, presentation of food is excellent and the environment is bright and comfortable. Great place to take kids to because the cute buns will make them go crazy. Giving them 4 stars because the service is very mediocre and not attentive. I pre-ordered sweet buns via the phone as I wanted them to write a happy bday message on the plate - they said it's not a problem and will charge me HK$20 to do that - fine - I said because I'll be coming with the bday girl I don't want to remind you on the day (I called one day in advance), so it could come as a surprise. They said it's not a problem - well just as I sorta expected, this didn't happen and they still charged me the extra $20 on the bill. Also, I recognize that it's a busy place for lunch, a waitress was running in and out and accidentally pushed me really hard - it was obvious that she knew she pushed me but didn't bother to turn around to say something. Oh well. Welcome to HK. Haha. Really expensive, cute dimsum. All of their food is on the expensive side, but if you get the deals, it will save a significant amount of money. All plates are pretty small (think two fists in length) so you're going to need to order at least 6-8 plates for 3 people. The molten buns are my favorite! They do live up to the hype :) The place is very modern, right in the center of the financial district. We waited 10 minutes with no reservation on a weekday at noon, so the wait won't be too long either. Yum Cha is home to the infamous custard buns making their way around social media, with custard bursting out of them when you squeeze it. The restaurant itself is very modern and stylish, and you definitely need a booking otherwise you'll be facing a significant queue! The food here is more expensive than other dim sum places, but actually, I thought it was pretty damn good and not just style over substance. Sure, the custard in the buns is a bit split and not particularly fantastic, but you can see the chefs preparing all the food in the kitchens and the general standard here is good. Overall, 4 stars for good dim sum and creativity, but not entirely worth the price apart from the novelty after your first visit! The cute buns drew me to this dim sum place and since it was my friend's birthday I made a reservation for 5 people at 1:15pm on a holiday Monday. We still had to wait for 15 minutes to get a table despite the reservation and they only start you on the list once you check in at the front desk so I suggest getting in earlier than your reserved time if possible. Anyway we started a first round of appetizers including a kale salad which I found really refreshing. The eggplant dish was good but not spectacular and the shrimp appetizer was fresh. Of the dim sum foods I recommend the spicy Siu Mai. It's Sichuan style but with just the right amount of spicy numbing action. The beef balls were yummy and those who doesn't like the water chestnut in them will like this version of the dish. Next to the steamed buns and cute desserts. The runny custard bun was cute and we had fun poking a hole in the bun and letting the custard "run" so that the bun was essentially puking. The sausage rolls are shaped like dogs with a Chinese sausage inside a steamed bun. It only came in a pair so I didn't get to try it but was told it was tasty. The pineapple cakes that were shaped like birds and presented in a little cafe tasted just like the pineapple dessert should and quite pleasing to look at. The green tea bun was runny and I converted them to become a Sanrio character for my friend. We finished the meal with a soysauce noodle dish and a beets stained rice dish that came in a begger's bowl. The Chinese name was quite cute and funny if you know the idioms "近朱者赤". All in all I rate this dim sum place with a4.5 stars for service(teapot refills magically), food creativity and lack of crazy MSG. It lost half a star on the long wait in line without any chairs and a stern face hostess. I would definitely come back again for a fun meal time!